Beautifully renovated 1st floor, single story Luxury Condo!This 1 bedroom & 1.5 Bathroom successful vacation rental is located on the Sunny South Shore in Poipu and has a beautiful ocean view from the living room!This 1 bedroom & 1.5 Bathroom successful vacation rental is located on the Sunny South Shore in Poipu and has a beautiful ocean view from the Lanai! Just a couple minutes walk and you will find yourself at Keoniloa Bay (Shipwrecks Beach) and this amazing vista will have you dreaming of the days adventures! 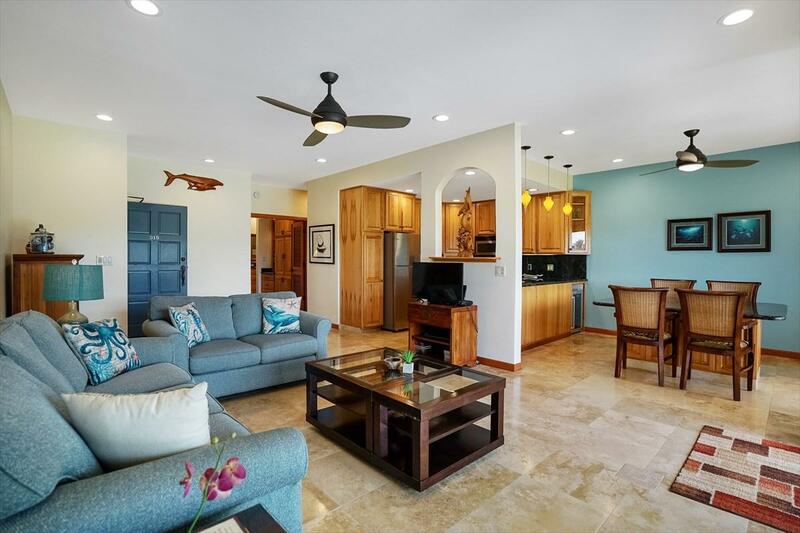 Minutes to Poipu Beach Park and did I mention all the amenities? 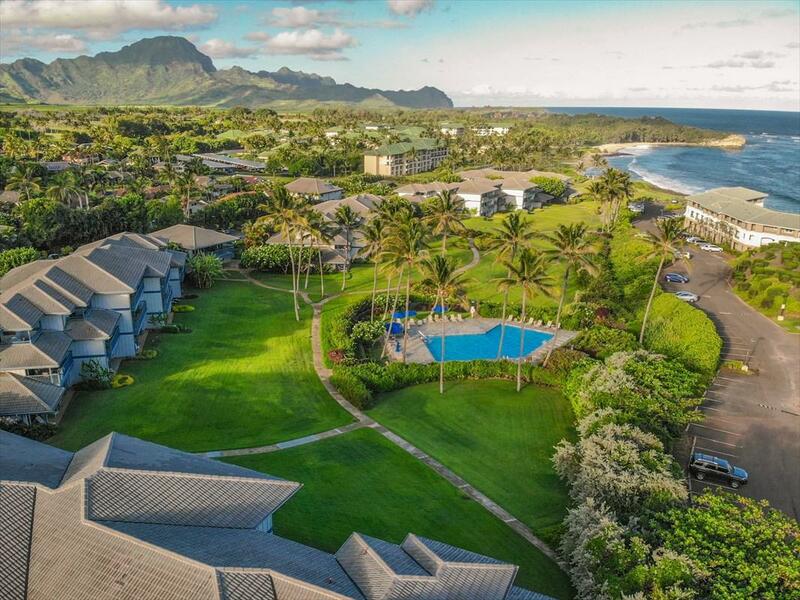 Heated Swimming Pool, Tennis Courts, Walking Path are all part of this Poipu Kai Resort Walking distance to the ocean, beach, hiking trails, private tennis courts, Poipu Bay golf course and the 5-star Grand Hyatt Resort & Spa. If proximity is important, just a few minutes drive you can be at Kukuiula Shopping Center, Restaurants, Spouting Horn and tour companies waiting to take you across the island on your adventures!Successful turnkey vacation rental allows for owners, guests and vacationers alike to enjoy the onsite spacious green belt area, BBQ area and in addition to the amenities on site, the surrounding 40 acre Poipu Kai Resort also includes 8 court tennis club, pool & spa, 24-hour resort patrol service, wide open greenbelt spaces & lit pedestrian pathways that will take you from Shipwreck Beach/ Keoniloa Bay to Poipu Beach and all throughout the Poipu Kai Resort.Water sports such as sailing, scuba, snorkeling & surfing will call the more adventurous soles to come and play daily If Turtles, Hawaiian Monk Seals and Whales interest you then make sure you view this beautifully renovated 1st Floor condo. That's right 1st floor - no elevators at Poipu Sands so groceries to this unit "No problem! 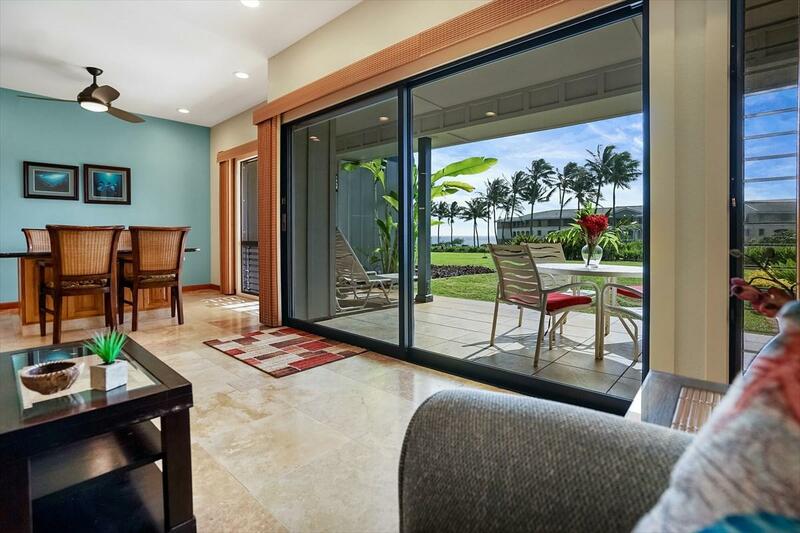 "One of the most beautifully renovated and decorated units at Poipu Sands! 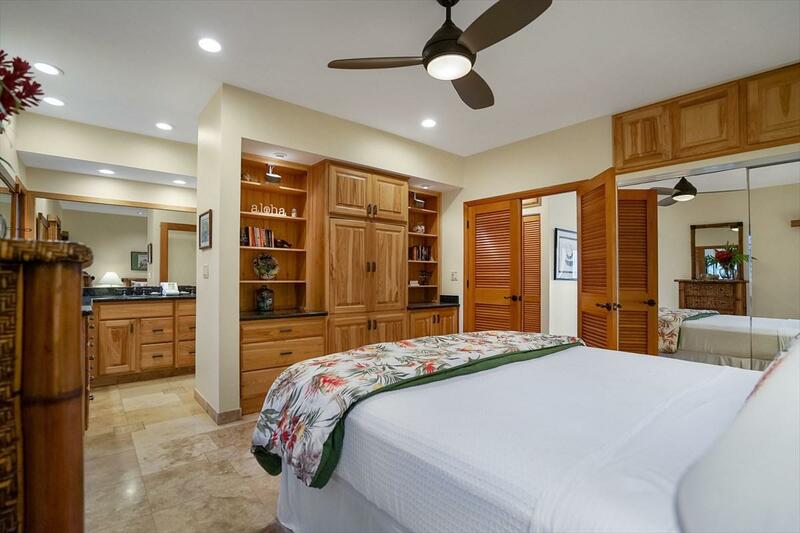 Listing courtesy of Kauai Luxury Properties, Inc..